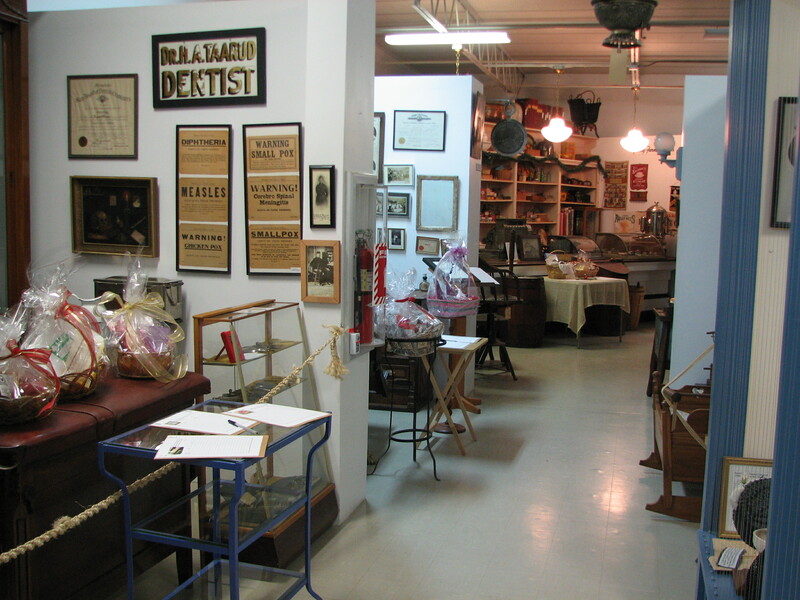 The gift baskets are all wrapped and set out around the museum. The halls are ‘decked’, the cookies are baked and the coffee pot is on. While the official open house is 1-4 on Saturday, December 5, we will have free admission all week. 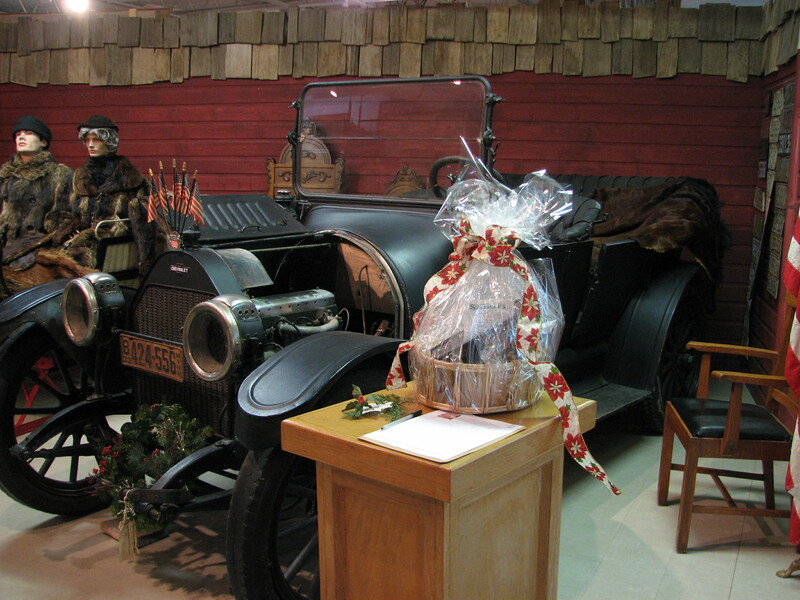 Stop in to visit the museum, check out your family file, eat a cookie and start bidding on the great gift baskets. There is something for everyone – men, women, children and even animals. 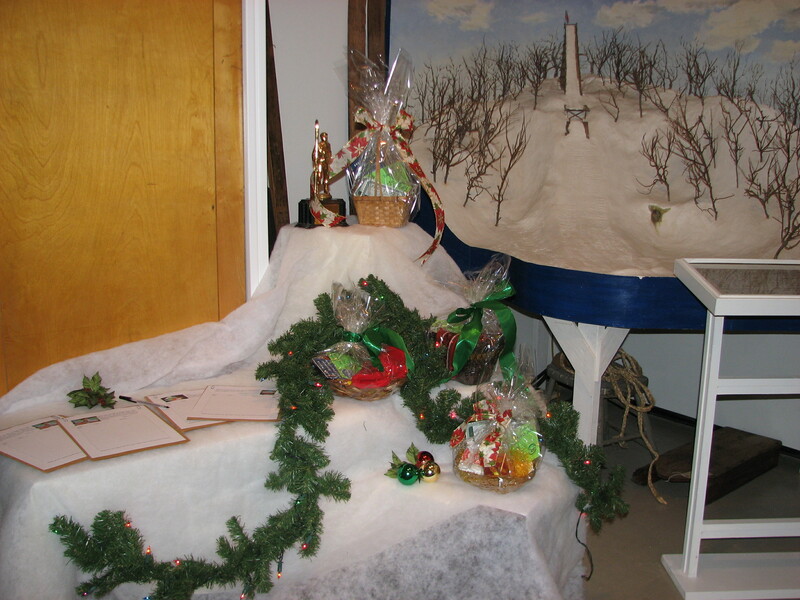 There are toys, events, gift certificates, food i tems, and even some beautiful antiques on the silent auction. Over 40 baskets are up for bidding. In the rotunda, you will find a wonderful collection of art (originals, prints and photographs) by local artists including Lois Maher, Nancy Olson, Harvey Peterson, Della Conroy, Joe Merrill, and Sandy O’Brien. These items too, are up for bid through the silent auction. We have already had a lot of interest in several of the items, so come often to place and check your bids! Color catalogs with photos and descriptions of each basket are available at the museum. Funds raised through the silent auction will help the Pope County Historical Society further its mission to foster among people an awareness of Pope County history so that they may draw strength and perspective from the past and find purpose for the future. This blog is primarily written by Ann Grandy, Assistant Curator. This entry was posted in Uncategorized and tagged Della Conroy, Fundraiser, Harvey Peterson, Joe Merrill, Lois Maher, Nancy Olson, Sandy O'Brien. Bookmark the permalink.